Virtual reality (VR) is set to become this generation’s defining technology which will completely transform the world as we know it. It already has major applications to our world and it is a technology growing at a rapid pace. One common question which many have, however, when they hear about it is: “How does virtual reality work”? You are not alone in your confusion; the experience of putting on a headset and exploring an entirely virtual world which provides the same sensory experience as the real world is a prospect which baffles the best of us. How could such a bizarre concept from fiction possibly impact life in our physical world? We’re here to clear these questions of yours. You probably ­­realize that VR is about simulated environments, but there is much more to virtual reality than gazing at a world generated by a computer. Depending on the level of the technology, virtual reality is about seeing and feeling experiences that are prompted by computer-generated worlds, people, and environments. 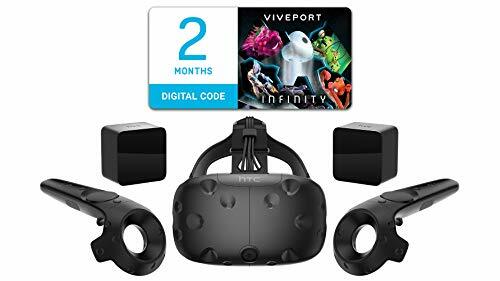 The visual aspects of a virtual world are easy to understand if you have played a video game or watched a movie, but the full virtual reality experience stimulates the entire range of human senses. Advancements in virtual reality technology may allow us to experience the feeling of icy mountain streams, the smell of untouched wilderness, and the echoes of footsteps in a deep canyon. In some circles, this highly advanced version of simulation is known as full-dive VR[i]. While full-dive VR is not yet available, we already can hear and see virtual worlds through current technologies. I became familiar with this early VR technology through the Oculus Rift, a headset that allows people to play video games in the first-person perspective. When paired with three-dimensional audio, VR gaming feels like an immersive experience. You might be wondering how strapping a screen to your face immerses you into a virtual world. The answer is not simple, but it is about using optical tricks to convince your brain into believing that the two-dimensional images on the screen are actually a three-dimensional world. 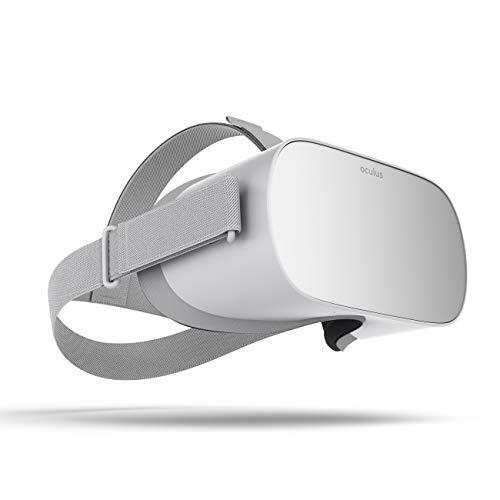 At the heart of a quality VR experience is the headset – a display mounted on the head of the end-user which blocks out the physical world and displays an imaginary digital world in its place. Current VR headsets present a whole new field of view for the end-user, making full use of our peripheral vision to provide a realistic experience. When you are wearing a good quality VR headset, you should feel as if you are interacting with the virtual world. Once the headset is on, the user can use motion controls such as gloves, remotes and body movements to control their on-screen experience. As the user looks around with his or her head, the scene will adjust using motion controls. Early VR headsets were not as immersive as the Oculus Rift and Samsung VR systems which are currently available on the market. Today, they are practical VR solutions which can be used in the home and are always being improved upon by developers. The extent to which VR games and worlds can be interacted with depends on the publisher; with VR, the possibilities may well soon be limitless. Virtual reality technology begins with our eyes and the use of stereoscopic images. Using a headset, two images are presented to our eyes, one for each eye. The images are slightly different to reflect the way our eyes have two slightly different perspectives. For example, if you hold a cup in front of you, your right eye will see the cup from a slightly different angle than your left. By showing you different images for each eye, these images work together to create a more natural looking image. In addition to two images, VR goggles can have screens with up to a 120 degree horizontal field of view, so all you see is the virtual image. 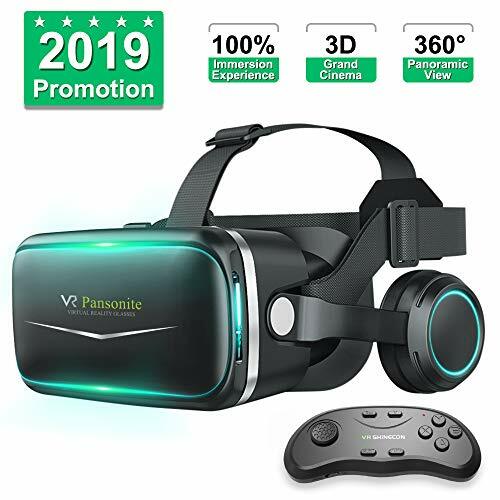 Today, VR goggles also have a 60-120mhz refresh rate which prevents stuttering and the sense of motion sickness that some people felt with the first generation of VR goggles. Increasingly, VR goggles are incorporating motion tracking, or head tracking, technology so the image changes as you move your head. Some headsets use gyroscopes, accelerometers, and magnetometers to track motion while others, like Sony’s PSVR, use an external camera and multiple led lights located on the headset. A key development in head tracking was overcoming latency, or how quickly the image changes compared to when you move your head. There needs to be less than a 50 millisecond delay or you will notice the lag. Our sense of hearing greatly affects how immersed we become in a virtual environment. 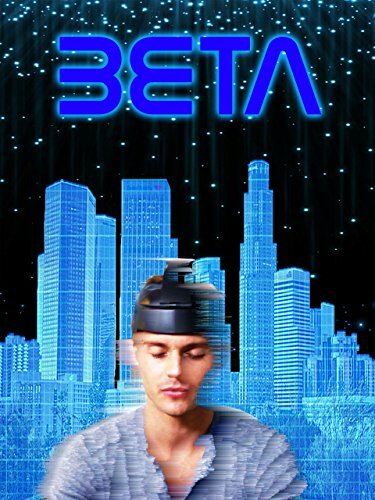 The development of binaural audio has greatly improved the virtual reality experience. For decades, we’ve had stereo audio, which has two channels of audio that can be different. So, the sound in the left channel may be a little (or a lot) different in left channel than in the right. Binaural audio is similar, but has one important difference. Binaural audio is recorded with two microphones specifically located on a person’s head as close to their ears as possible. This not only gives different sound on the left and right, like stereo would, but also accounts for the acoustic affect a person’s head has on what they hear the sounds around them, making it more natural sounding than stereo. A great example of binaural audio can be found on the Smarter Every Day Youtube Channel where they have a binaural recording of a Falcon Heavy launch. Walking around a virtual world and seeing and hearing that environment is great, but wouldn’t you like to be able to interact with that world? Commercially available haptic interfaces are still in their infancy, but researchers are making strides to improve the physical interaction you can have with the virtual world. There are two aspects to virtual physical interaction, feeling the environment around you and effecting that environment. For example, can you feel it when you are hit with a virtual ball and can you then pick that ball up and throw it? These haptic wearables range from gloves to full body suits and are being designed to not only give the sensation of touch, but have a sense of the hardness of an object. They also incorporate motion and position sensors to allow you to feel the objects in space and manipulate the virtual objects. There are a variety of methods being used to create these haptic devices, such as exoskeletons, fluidics, cables and electronic strips. Exoskeleton - Hard external structured devices that fit around the users hand, arm, or other part of the body and allow for interfacing with the computer. These tend to be large and bulky, but allow for good tracking and haptic feedback. You can see an example of an exoskeleton haptic device in this video. Fluidics - Fluidic haptic devices allow for a more flexible, soft design. They use fluids to detect movement from the user and create force on the user giving the sense of touch. You can read more about one fluidic design here. Cables - Quite different from the wearable designs, cable haptic devices use cables connected to different points within a three dimensional environment. The user stands in the environment and moves a controler which pulls and releases the cables. The computer is able to interpret location and apply resistance for feedback. You can see a video of this here. Electronic Strips - Electronic strips are similar to the exoskeleton design, but without all the bulky hardware. Light, flexible metal strips line the hand. They are able to detect movement as the strips move past each other. By applying a small electrical current to the strips, the device can create resistance for the user giving the sense of touch. You can see one example of an ultra-light glove from EPFL that uses electronic strips in this video. Imagine walking through a field. You not only see the grass and flowers and hear the wind and birds, but the field has a smell. That’s part of the experience and one that has been largely ignored by most VR companies, but as Engadget reported in a November 2017 article, some companies are working on methods of producing smells to further immerse people in the VR experience. Researchers, like Nimesha Ranasinghe, have developed olfactory packs that hold a variety of scents, some up to 30 scents. These scents are then released in microbursts of air close to the users nose allowing them to smell whatever scent is desired. We have long known that smell affects our sense of taste as well. Anyone with a cold can tell you their food tastes different, less vibrant. Ranasinghe and his team found that by utilizing smell, they could effectively cause users to taste different flavors for a drink that was just pure water. To enhance the experience, color and electronic taste stimulators were used as well. You can see this in this virtual cocktail video made by his team. The overriding goal of VR technology manufacturers is to completely immerse the end-user in a simulated world, but what does this mean? Simply put, immersion means that the end-user is completely distracted from the outside world in terms of their vision and hearing by using a headset which fills peripheral vision, headphones which cancel out external noise and controls which allow manipulation of the virtual world. When these three things are met, VR can create a truly immersive experience which provides a powerful distraction from the outside world and drops the end-user right in the middle of something completely new. Developers are always looking for new ways to improve the interactivity of their worlds, and PlayStation VR is a great example of this. Using their specially designed controller, players can pick up and move objects, interact with characters and manipulate the world. As more and more competitors continue to develop their VR products and games, the market is bound to continue evolving and the limits of VR will be pushed higher. It’s hard to say what the future has in store for VR. A couple of decades ago, we never would have thought such a thing would be possible! Our prediction, though, is a shift in focus from interaction to immersion – products which don’t just replicate sight and sound, but smell and taste too. As it currently stands, however, VR is a very powerful and exciting technology. A VR headset should be at the top of any gamer’s list. It is a technology which provides an immersive and interactive gaming experience which cannot be achieved through a screen alone. Developers are working tirelessly to deliver on VR’s shortfall and it is an exciting time to get involved with a technology set to define a generation of not only gaming, but fitness, movies and general day-to-day activities. Got any questions about VR? Post them below and we’ll try our best to answer them for you!